I think President Akufo-Addo misunderstood former President Mahama on the latter’s comment on brutalities being meted out to innocent citizens supporters, MPs and party executives of the NDC by Npp vigilante groups. Ghana is drifting and gradually assuming the status of a failed state and the former President is urging President Akufo Addo to spend few months left of his administration to provide a leadership that will secure respect for the lives of Ghanaians. His criticism is not about being a political opponent. It has to do with what is in the best interest of Ghanaians. President Akufo Addo, a human right lawyer, has replaced rule of law with rule of force making life worthless for Ghanaians while failing to address killings and rampant corruption under his watch. Every government is elected to provide security and welfare to the people. But that is not what we have presently. The unceasing agitations across the country should convince the President that there is need for serious presidential attention to the problem. The President should as a matter of urgency disband his vigilante groups and purge our security agencies of those hoodlums who have been recruited illegally. A proper foundation for sustainable development would start with restoration of peace in the whole country. -Our forebears were not cowards -when he charged party faithfuls to come out maim Ghanaians, throw bombs and kills their political opponents. -Atiwa -When he commended his hoodlums for unleashing terror on innocent Ghanaians during the Atiwa bye election. Apart from the candidate’s reckless statements, his party’s officials, financiers and campaign team members also preached war sermons. -The told the EC and Ghanaians they will rely on their collated results. His security operatives attacked security personnel of Prof Mills and Mahama. A young Npp activists was stabbed and a regional chairman was also killed with acid. We saw what the vigilante groups did after the 2016 election declaration. The attacks at the Presidency, the court invasion, attack on a regional security coordinator, seizure of properties and ballot boxes etc etc. These and happenings today are the issues the former President urged his successor to take a look at. As for unleashing terror on innocent citizens, the current President has an enviable record. For twelve years as MP, he made life worthless and very difficult for NDC supporters in his constituency. People left their homes and settled in their farms. We saw how his loyals brutalized Npp supporters who were against his candidature. Given the present security situation in the country, the only thing one would have expected is a strong statement and a clear sense of direction on the part of the President. 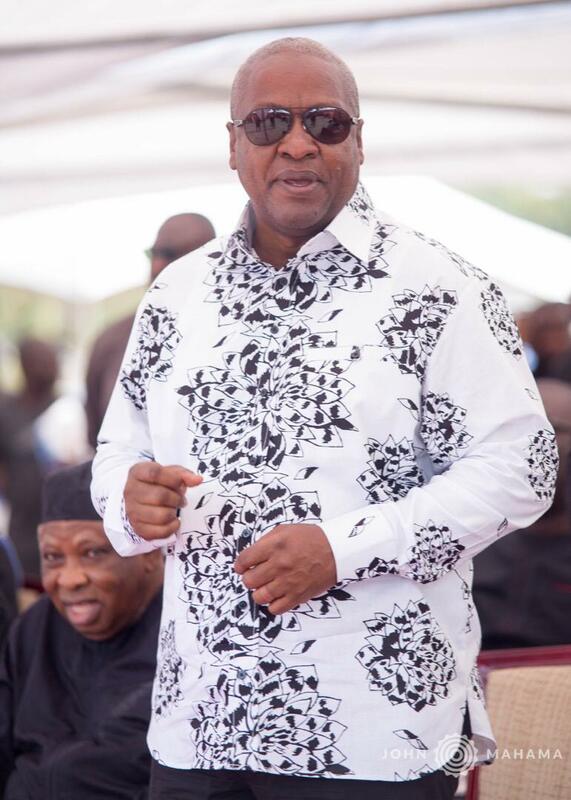 Under Mahama, supporters, executives, financiers and Nana himself enjoyed absolute freedom of speech, association, right to hold dissenting views including organising demonstrations against government policies. Suddenly, all these have become political taboos. The President in collaboration with some satanic agents, plotted and removed the EC boss and her deputies and replaced them with known npp activists. Vigilante groups formed by the President and his party have taken over all core security activities in the country and harassing opposition supporters and executives. Ghanaians have had enough of his aggressive politicking and brutalities and that was the message the former President delivered to him. It is better to alert him of the dangers ahead and remind him of the consequences of his activities before we all fall victims. Corruption and insecurity are in the upward swing under Akufo Addo.